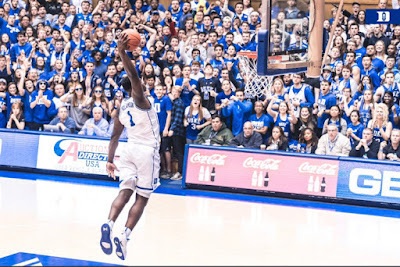 Duke, the second-ranked team in the country, was led by Zion Williamson, who had 29 points on a superb 13-17 from the field, with most of his baskets coming via the dunk and including a three-pointer. The potential number-one pick in the NBA Draft also had 6 rebounds, 5 steals, and 2 blocks. 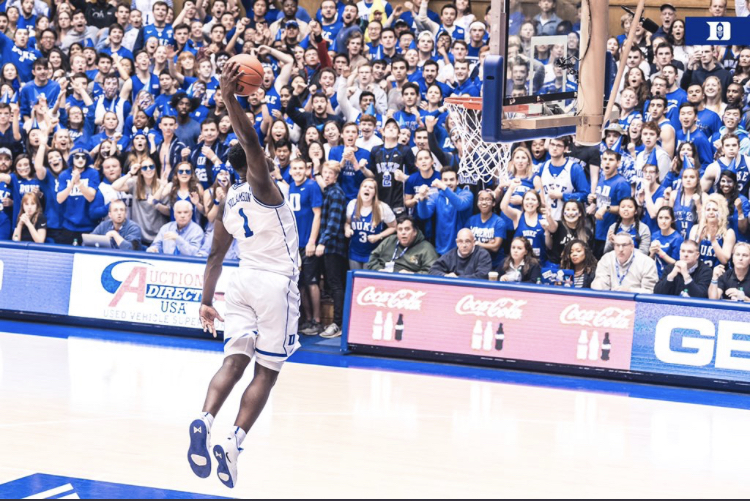 Duke also got big games from Cam Reddish, who had 16 points (4-10 FG, all three-point attempts), 3 rebounds, 3 assists, and a steal; RJ Barrett, who had 15 points (6-15 FG), 14 rebounds, 4 assists, 2 steals, and a block; and Tre Jones had 13 points (5-9 FG, 1-2 threes), 7 rebounds, 7 assists, and 3 steals. For St. John's, this was their first non-conference loss and they fell to 16-6 overall. They were led by LJ Figueroa, who had 14 points on 7-18 shooting, including 0-7 from behind the arc, with 8 rebounds, 2 assists, 2 steals, but 3 turnovers. Marvin Clark II had 12 points on 4-10 shooting (3-9 on threes), with 4 rebounds, 2 assists, and a block. Shamorie Ponds had a tough day, as he was held to 11 points (3-11 FG, 0-2 threes), with 4 assists and 3 rebounds, and while he had 4 steals, he committed 5 turnovers. St. John's actually led this one 21-19 seven minutes into the game, and then Duke took over. Over the next few minutes, they went on a 9-2 run capped by a Williamson three-pointer at the 10:25 mark of the first half. St. John's pulled to within two, at 35-33, on a Figueroa jumper at 3:29, and Duke then closed the first half on a 12-4 run capped by a Williamson steal and then mammoth dunk with 24 seconds left. They took a 47-37 lead into halftime. Duke dominated the second half right from the start with a 16-2 run capped by a Williamson layup that made it 63-39 at the 15:39 mark. Duke maintained a 25-point lead throughout the second half, leading by as many as 32 before winning by 30, 91-61. St. John's concludes their three-game road trip with a game at #10 Marquette on Tuesday night before they return to The Garden for a matchup with Providence next Saturday.